Track assets by site, location, department, item, and serial number. 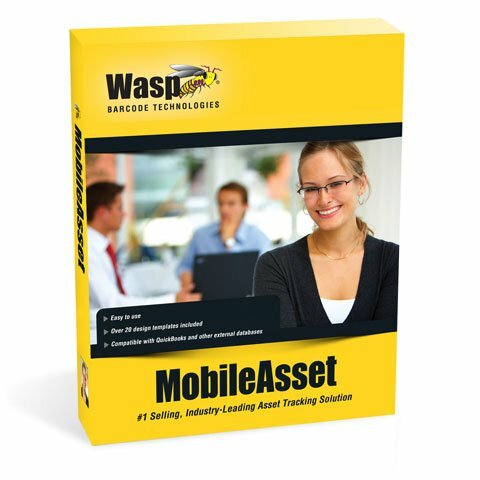 Wasp Mobile Asset offers exciting new features and enhancements designed to make managing your assets easier than ever. Mass update allows you to instantly add or update information for a group of assets eliminating time-consuming, individual changes to asset records. Improve efficiency by printing asset, location and employee tags directly from lists. Ensure data integrity with enhanced security, including site-level asset visibility and department-level security settings. With Mobile Asset, you can pinpoint an asset's location to-the-minute, with the ability to set a due-time, in addition to due-date. Mobile Asset also supports check-out with no due date, ideal for assets like PCs that will be indefinitely assigned to an employee. Enterprise editions include: Track and manage assets for multiple companies using multi-tenant feature and also Microsoft SQL Express Database. The Wasp 633808927677 is also known as Wasp Bar Code	633808927677	.